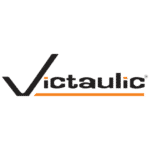 Victaulic, the world’s leading manufacturer of mechanical pipe joining and fire protection systems, introduces the new FireLock® NXT Series 768N Dry Valve. 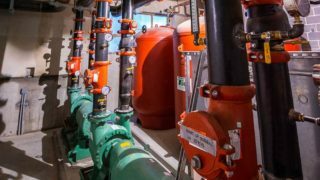 Re-engineered by listening to customer’s needs, the new dry valve provides simplified set-up and maintenance for fire protection contractors and fitters while still maintaining the core features and benefits of the original technology. Specifically engineered threads on the strainer cartridges for the air and priming manifolds make sure you never mix-up a strainer again. Trim divided by air (left) and water (right) lines, and brought to the sides to aide in accessibility. In addition to the re-design, the new valve will also feature a QR code on the front of the valve, which will allow fitters to instantaneously access short videos on installation, set-up, and maintenance, complete installation instructions; and access to technical help with the push of a button (direct call linking to 1-800-Pick-Vic). 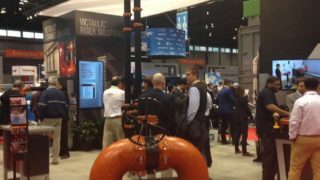 “This will revolutionize the industry as far as instruction and operational manuals go,” said Wake. 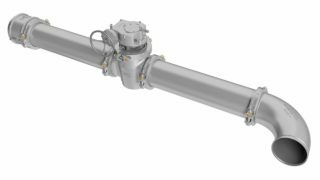 The FireLock NXT Series 768N Dry Valve is available in sizes 1 ½ -8 inches/40-200mm with up to 300 psi/2068 kPa /21 Bar.